Now comes the hardest and most fun part of the 2019 Masters season…picking who will win! For years I have made picks and always had the winner, just not as the ultimate guy chosen so rest assured that hidden in this page or the articles listed below a winner has been chosen…at least that’s what my past history would suggest. Below are the PGA Tour golfers that have the best chance to win the 2019 Masters Tournament as well as our pick to win the Masters this year. All of these guys are worth building a fantasy golf lineup around or even making an outright bet to win the Masters depending on what the Current Masters Betting Odds are. 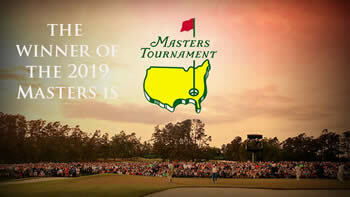 Who Will Win the 2019 Masters Tournament? Dustin Johnson – (DK Price $11,300) – The number 1 golfer in the world…should be a lock for fantasy golf lineups for the Masters. He’s on a 3 year stretch of three Top 10 finishes at Augusta and his distance off the tee can really shorten the course for his improving short game. History hasn’t been kind to the number one ranked golfers in the world the week of the Masters but DJ will be a popular pick in many DFS fantasy golf lineups. Justin Rose – (DK Price $10,800) – As I mentioned in my Masters Tournament First Look Justin Rose is a guy I look to every year at Augusta because every year he seems like he has a chance to win. I know the names on this list will be looked at as more as the favorites but don’t sleep on Rose as a fantasy pick or even a bet to win the Masters if you can get him at decent odds. Rickie Fowler – (DK Price $9,700) – Came from behind last year to come in second place behind Patrick Reed. Fowler is knocking at the door of winning a major and he has just as much of a chance of winning the 2019 Masters as anyone on this list. I probably would see him more likely to breakthrough at next month’s PGA Championship as a major winner but who knows. Justin Thomas – (DK Price $10,200) – Thomas has never finished better than 17th at the Masters but he has been playing at an elite level for almost two years. He already has a major under his belt and winning another one or two is still in his future. He’s getting solid odds if you want to make a Bet on the Masters and shouldn’t be slept on if you are looking at potential winners this week. Rory McIlroy – (DK Price $11,600) – Four time majors winner is still missing the green jacket from him closet. McIlroy is playing really well this year and almost seems on a collision course for grabbing the title Masters Champion. Five straight Top 10 finishes shows that Augusta is a course that he knows and enjoys playing at. One has to wonder if McIlroy wants to start to cement his legacy now and what better way than finishing off his career slam. 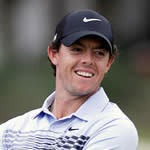 I like McIlroy and will be pumping him in most of my lineups as the anchor and favorite.